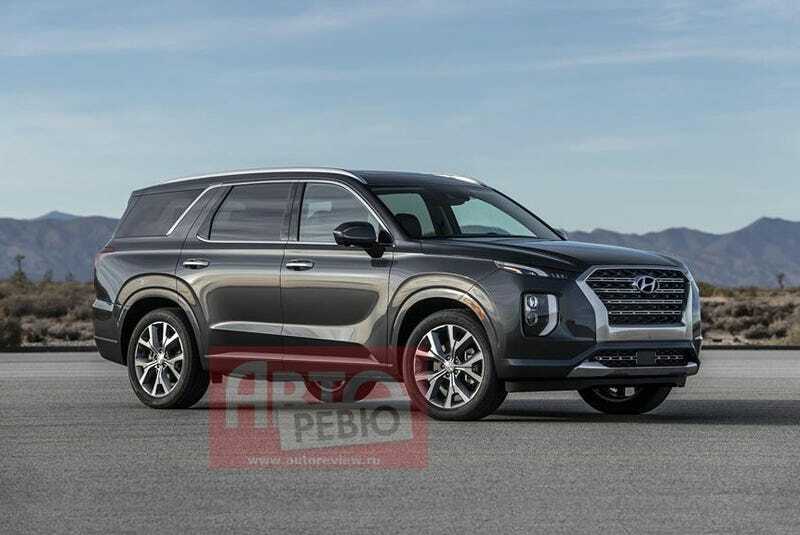 This appears to be the first leaked picture of Hyundai’s new 8-seater crossover known as the Palisade. All of the details match up with the fuzzy spy shot found earlier this week. No information has been released but it seems as if the Palisade will be built in Korea, powered by a V6 engine likely making 270 hp, and be offered in FWD or AWD variants with either a 6-speed or 8-speed automatic. Let’s be clear here, the Palisade replaces the Santa Fe XL (that’s the new name for the old Santa Fe which had 3-rows). The tiny, 2-row Santa Fe Sport was eliminated when the new Santa Fe arrived. Now, the new Santa Fe is bigger than the Santa Fe Sport but not as large as the Santa Fe XL even with the optional 3rd row in the new Santa Fe. The official debut is at the end of the month. All of this is just speculation from a man that still kicks his underwear into the air and catches them whenever he disrobes. Pricing should be from $33,000 to $50,000 all in just like every other CUV with room for 3 in the third row. I also believe that the Korean behemoth will be built in Korea while its smaller cousin — the 7-seater Kia Telluride — will allegedly be built in Georgia alongside the Sorento with the same powertrains and similar price range.